In between the paws of the Sphinx is a stela, now called the "Dream Stela," which is inscribed with a story. 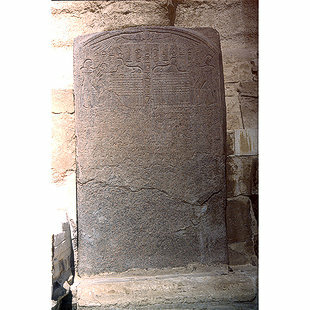 Tuthmosis the Fourth of the Eighteenth Dynasty ordered the stela to be erected 1,100 years after the time of King Khafra. 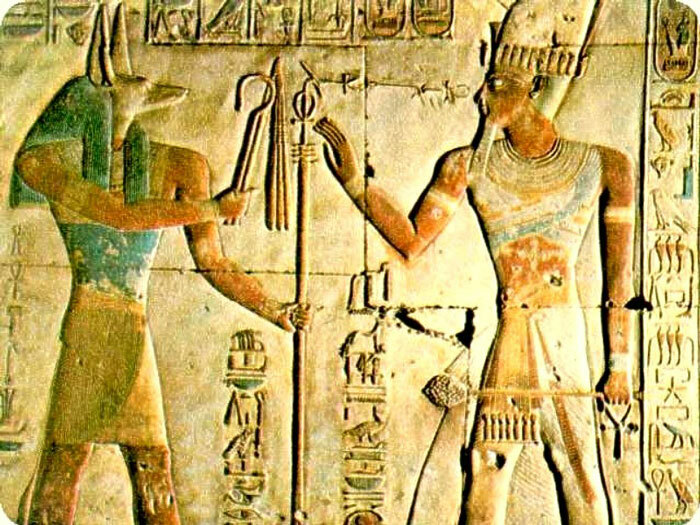 The stela relates how the king, who was hunting near the Sphinx, became tired and fell asleep. He dreamed of an oracle that promised if Tuthmosis would free the Sphinx from the sand, he would be destined to become King of Egypt.